Growing and in-demand career field! 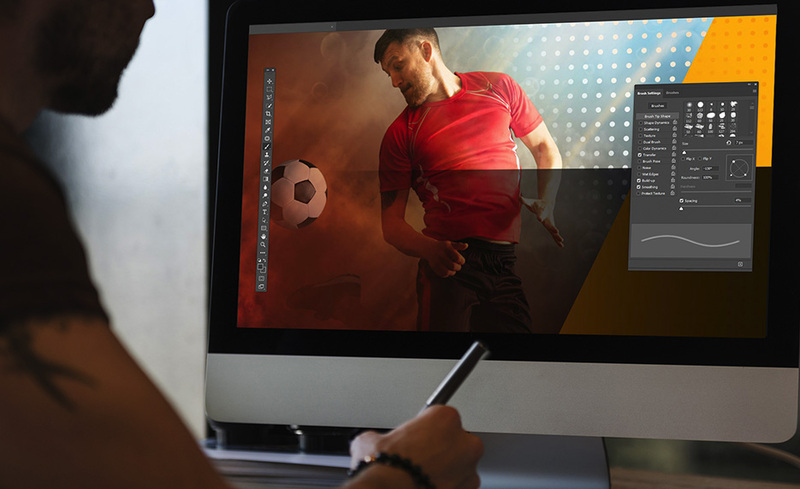 This nationally recognized training program will teach you the fundamentals of Adobe Photoshop, the gold standard for image creation and editing. This program will teach you graphic design basics and build your skills step-by-step, as you master the terms and processes used by professional graphic artists. You’ll not only learn the rules and standards for effective graphic design, but you’ll also discover strategies for creating graphics that convey desired messages, styles, and tones. This program can be taken from either a Mac or PC. It is compatible with Windows 7, 8, 10, or Vista for PC users. Internet Explorer is not compatible with this program. You’ll need to use a browser such as Chrome, Firefox, or Safari. There are no specific computer requirements other than an Internet connection, e-mail account, and Microsoft Word (for assignment submissions). The software for this program, Adobe Creative Cloud Photography Plan (Adobe Photoshop CC), will be provided with your tuition upon your enrollment and will be valid for one year after the activation date. Previous experience with Photoshop is not necessary. The software, Adobe Photoshop CC, will be provided upon enrollment, so you don’t need to have it prior to enrollment. Randy Rolen has been a professional Graphic Designer for 32 years. After working as the Senior Graphic Designer in high tech companies for many years, he started his own design firm in 1993 and began to specialize in web-based design, including websites and banner advertising. He has also been teaching online since 2002.
ed2go will ship all materials ground service upon enrollment. This includes the Adobe Photoshop CC software which will be valid for one year after the activation date.